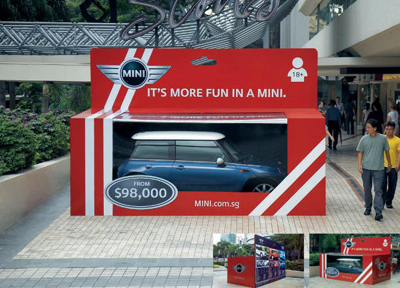 Mini Cooper not only has creative advertising...they have creative ways of displaying them and always find creative places to put them. 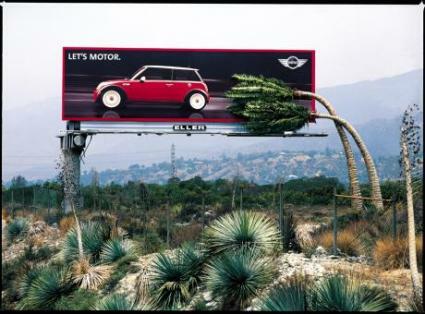 Beginning with some very creative print ads. 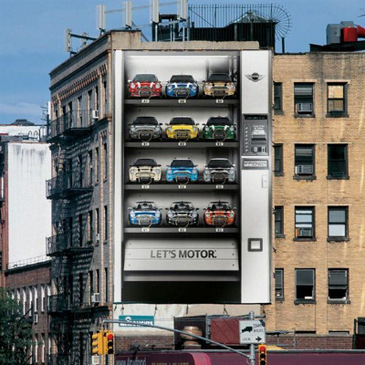 From the Let's Motor campaign. 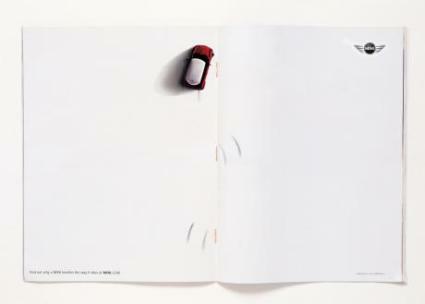 Now my personal favorite print ad. Reads: Let's take it off. Let's take it all off. This is a magazine with a printed wrap. 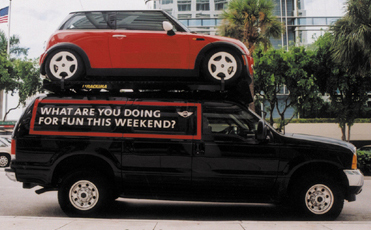 When the wrap is removed, so does the cover of the mini cooper. 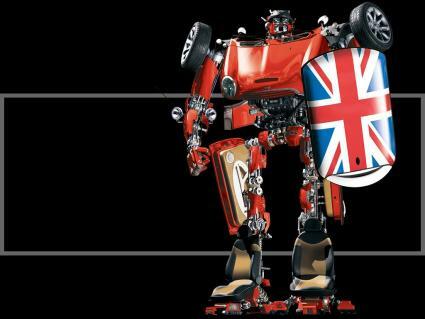 Ok, I have two favorites, who could forget the transformer. 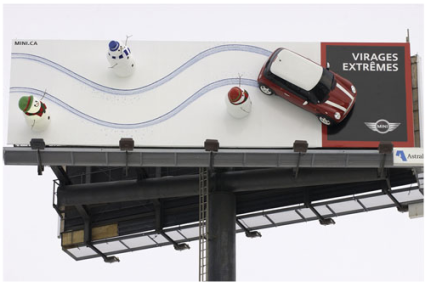 Another outdoor campaign...this one a wallscape. 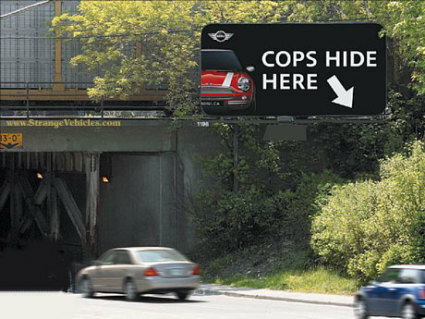 This one utilizes both billboard advertising and wallscapes. 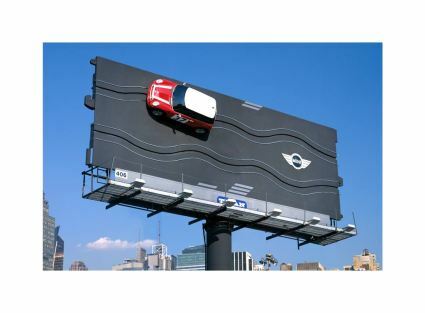 And one more "sleek track" billboard. 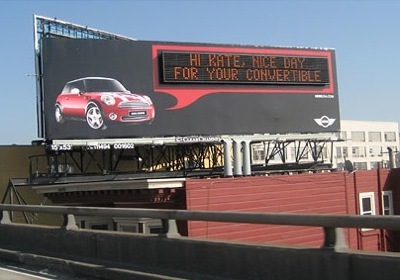 This billboard actually uses information stored on a computer chip in Mini Coopers, so when Mini drivers are going past, they will receive a personalized message. 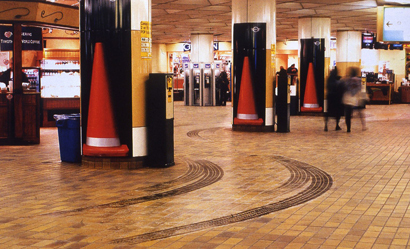 Some more interesting guerilla tactics include this urinal race course, with 3D pylons and all and take a Mini test drive. 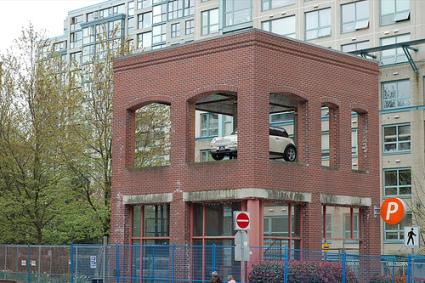 This mini was placed in a building in Yaletown. Then there is the mini in a box. 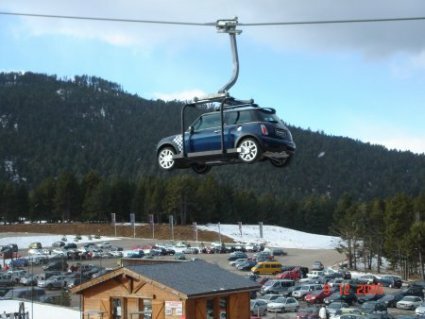 This one was at Molina Ski Resort. In the airport/taxi waiting area. 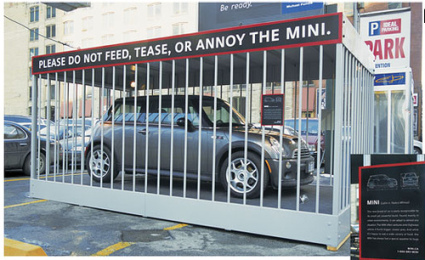 The Mini ‘Size’ campaign attempts to demonstrate how much interior space the Mini has. It’s strategically placed at the top of a subway entrance so it appears that several people are piling into the car or exiting the car. 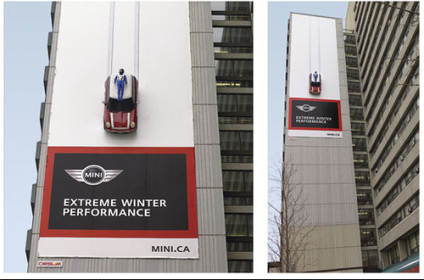 What do you think of the giant ad campaign for such a small product? Reptile Cafe: Something Newt in Yokohama!